The halls of the Roundhouse were bustling this past Saturday as the House and Senate Education Committees hosted a joint hearing to learn from New Mexico educators. Approximately 100 teachers, administrators, and school staff attended the hearing. Educators from across the state shared their concerns, hopes, and ideas with the 21 legislators on both committees. No One Has A Monopoly on Teacher Voice. While there were certainly common themes from teachers, there was also a diversity of thought & opinion on key issues such as systems of evaluation, performance rewards ("Exemplary Teacher Awards"), and performance-based advancement through New Mexico’s teacher licensure system, as recommended by HB177. There Are Many Layers to Policy Making. Understanding the many (often too many) layers of policy-making makes advocacy difficult. Especially when we can't find the precise source of our frustration. Unfortunately, many teachers expressed concerns stemming from school or district-level policies that are not under the purview of the Legislature or Public Education Department. Us advocates must do a better job of pinpointing areas of confusion and where change is truly needed. Different forms of advocacy are more impactful than others. The graphic below will help you choose the right tactic for your intended outcome. 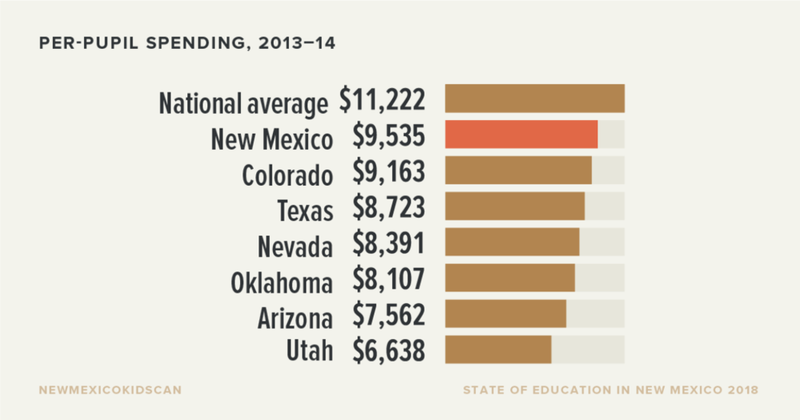 Many in New Mexico believe we are one of the worst states when it comes to education funding. This is inaccurate. In fact, New Mexico provides more per-pupil funding than all of our neighboring states. Key Voices Are Still Missing. Parents and students were startling missing from this important forum. While it is admirable that the legislature came together on a Saturday to hear from teachers without pulling them out of their classrooms, our legislators missed an opportunity to engage with those who are most impacted by their decisions, our students. Amanda is Executive Director of NewMexicoKidsCAN, which serves as a catalyst and conduit to advocate for community-informed, student-centered and research-backed education policies that work best for the children of New Mexico. By connecting policy, instructional practice and politics, they reimagine what is possible in New Mexico’s public education system.